A small design shop out of Brooklyn, CW&T makes this super minimal pen, Type - B. It's machined in Vermont. Found them on Kickstarter but dove into their home website. Just received this brass Type B today. It's precision machined out of solid metal. The body of the pen is made out of stainless steel and the sleeve is made out of polished brass. There are ultra-high machining tolerances between the pen and sleeve that create a piston-like effect (a dropped a crappy video below). The pen falls slowly into its sleeve and makes a popping sound when you pull it out quickly. The ink refill (high-tec C) is new to me, but I'm loving the ultra fine lines. I blame this new brass pen addiction on all you guys. A very cool design. There's a good video of the pen at the website. 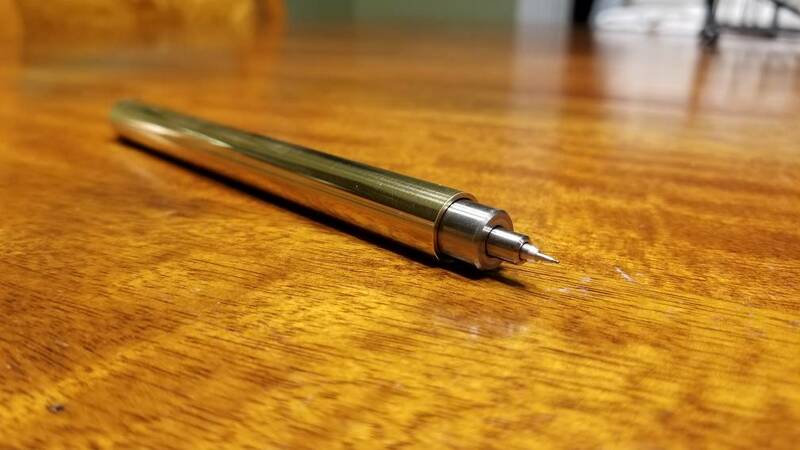 It's fascinating how the stainless pen stays in the brass sleeve by itself, yet can also slide in an out slowly like a hydraulic piston. 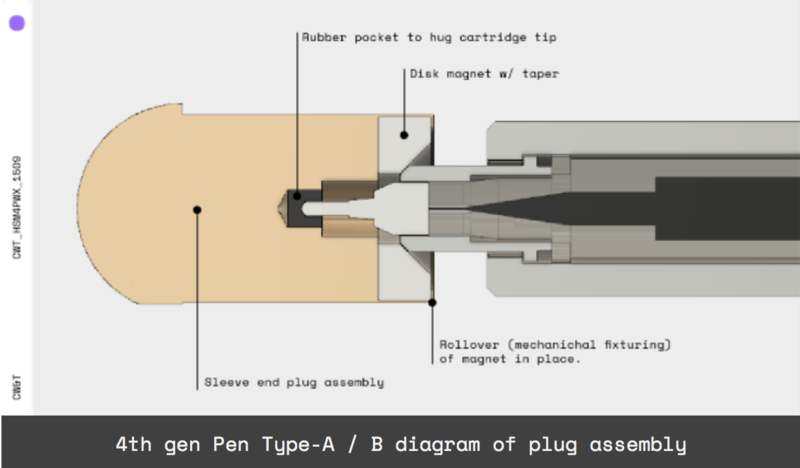 Amazing machining and engineering went into this seemingly simple pen. I want one. You are now doing to us what you accuse us of doing to you. (06-30-2017, 04:37 AM)TheLegalRazor Wrote: A very cool design. There's a good video of the pen at the website. 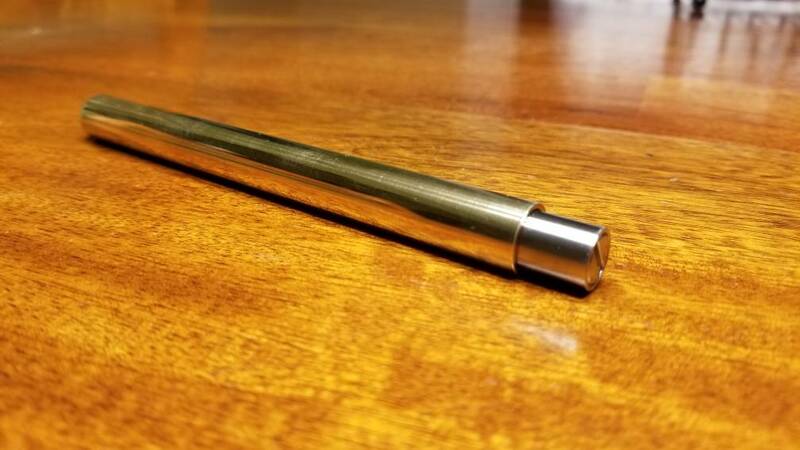 It's fascinating how the stainless pen stays in the brass sleeve by itself, yet can also slide in an out slowly like a hydraulic piston. 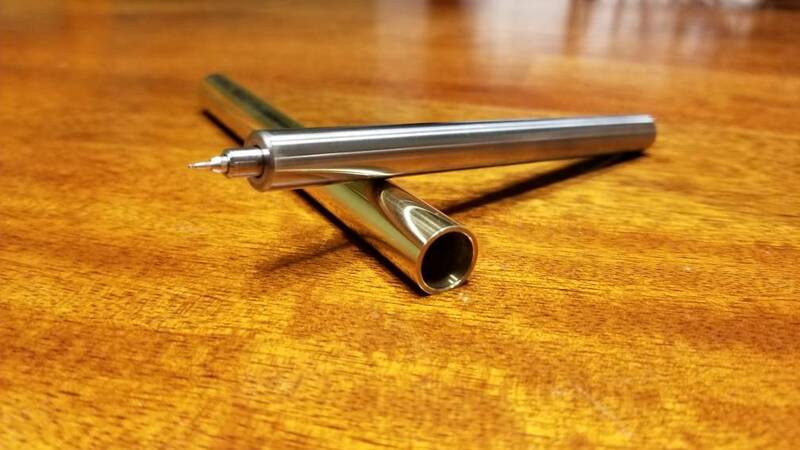 Amazing machining and engineering went into this seemingly simple pen. I want one. You are now doing to us what you accuse us of doing to you. I was struck by the same feature. I was sure there was a ridge or some holding mechanism but there isn't. Just a natural function of the piston - like design. They have a titanium version in the works too. Trying to find restraint. @Jackson says that the others at the Shave Nook are causing him problems. And I just saw that @theLegalRazor had his words. (06-29-2017, 06:31 PM)Jackson Wrote: I blame this new brass pen addiction on all you guys. Received an email from these guys with an awesome drawing of the design. Looks like there's a magnet holding the pen body into place. Pretty amazing design, IMO.